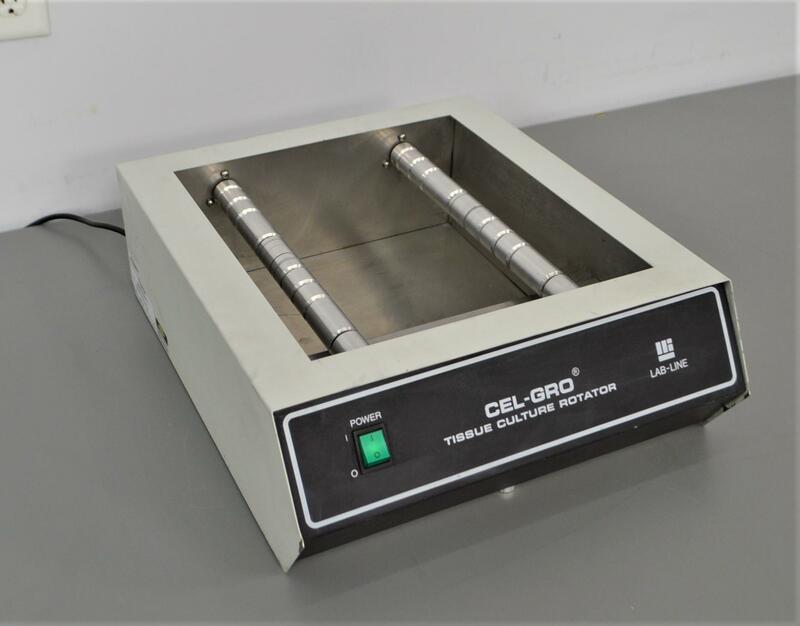 Thermo Scientific Lab-Line Cel-Gro Tissue Culture Rotator 1645 . New Life Scientific, Inc.
Our in-house technician inspected and tested this Thermo Scientific Lab-Line Cel-Gro Tissue Culture Rotator, confirming it to be functional. Technician powered on the instrument and noted the bars rotate evenly and well.